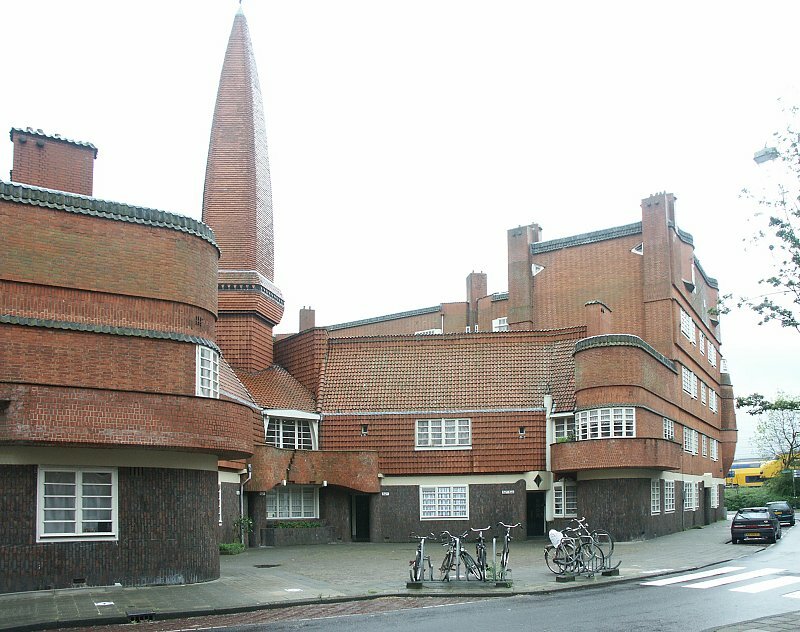 Michel de Klerk is probably the best known of the architects comprising the Amsterdam school, a movement originating in about 1915 and involving not only architecture but other arts and crafts as well--furniture design, sculpture, typography, and textile design, for example. 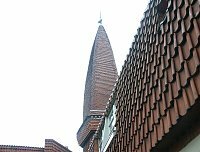 This movement is characterized by expressionism, creative use of materials and forms that are not only functional but creative as well--note, for example, the fenestration in this building as well as the unusual roof lines. 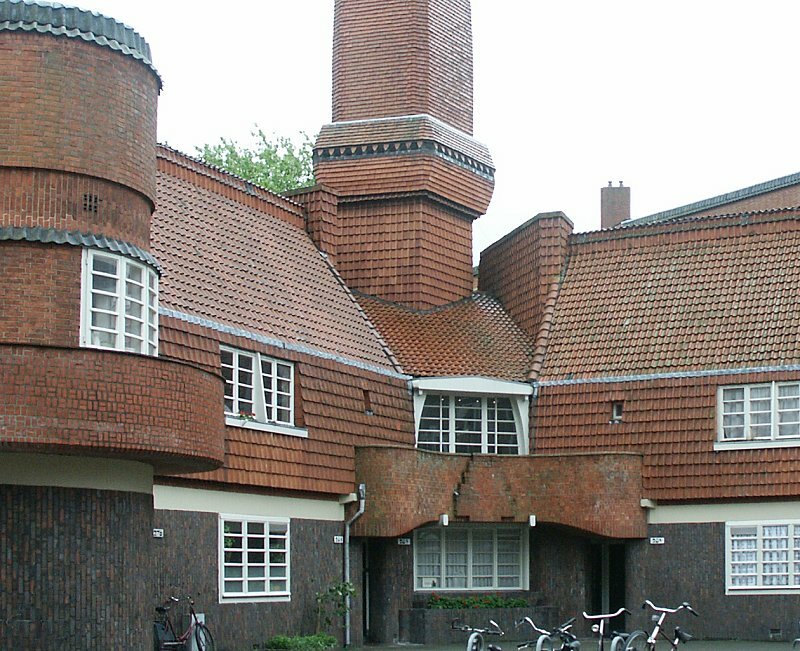 This building has attained iconic status as representative of Amsterdam School principles. 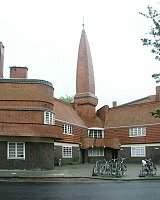 This "workers' palace" built for a socialist housing association, is called "the ship" in part because of its triangular plan. 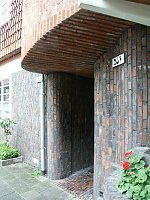 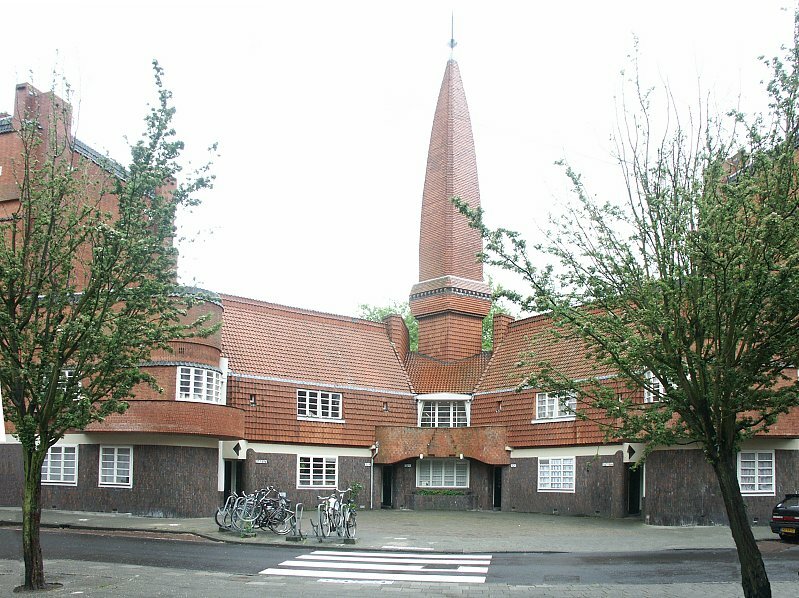 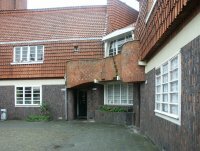 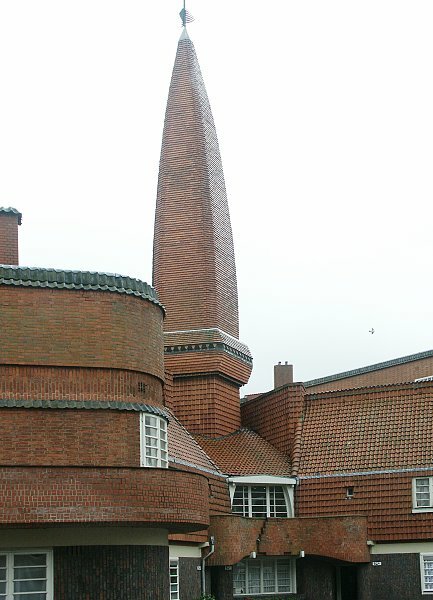 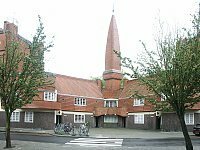 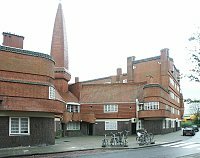 This was the third complex De Klerk designed in the Spaarndammerbuurt district in northwestern Amsterdam; it is the most famous and expresses the architect's vision most fully. 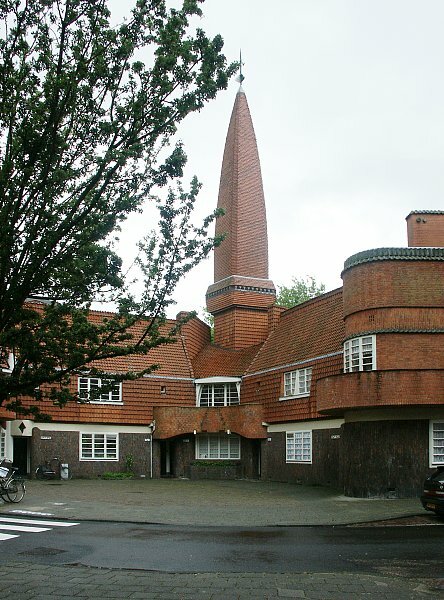 Here on the short side of the triangle, the five story building drops down to two stories and faces a small square. 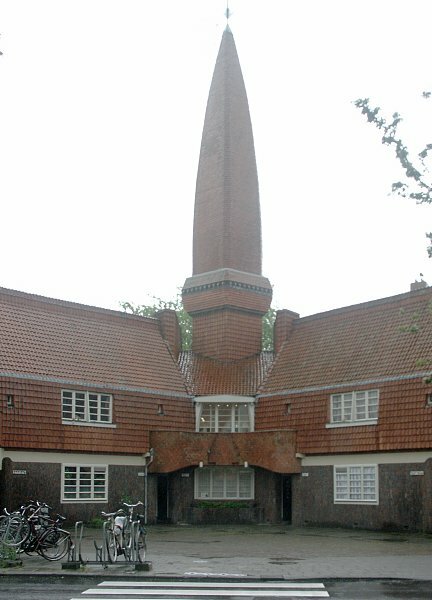 The tall tower is only decorative, not functional. 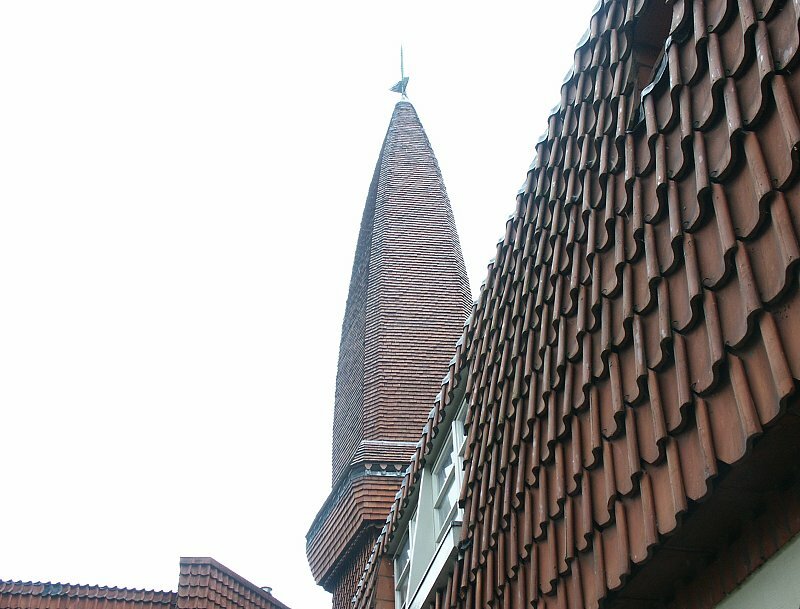 The site was in fact triangular and a school was already there which the architect incorporated in his plan. (This third side of the building is not pictured.) 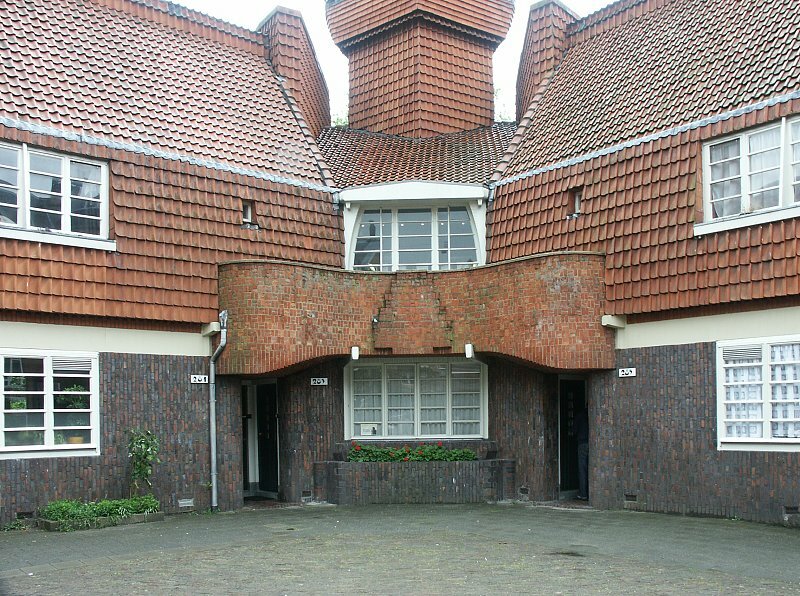 The wings here also terminate in rounded corners. 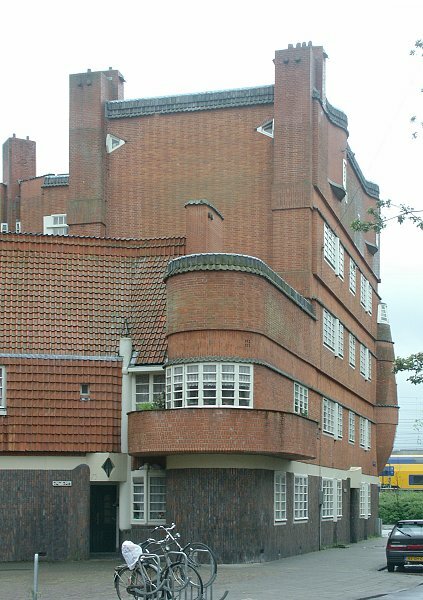 Originally this residential building had 102 dwellings for workers, a school, a meeting room, and a post office). 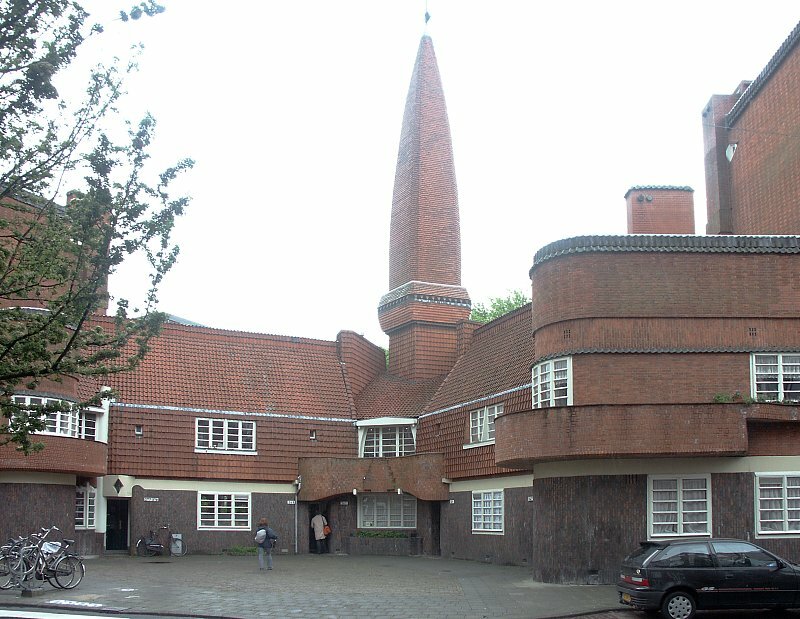 The Post Office (not pictured) is now a small museum. 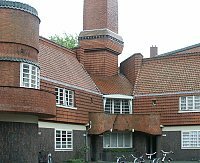 Note that the wings end in rounded corners and the roof, which is lower on this side, has a vernacular feel--perhaps like local farms. 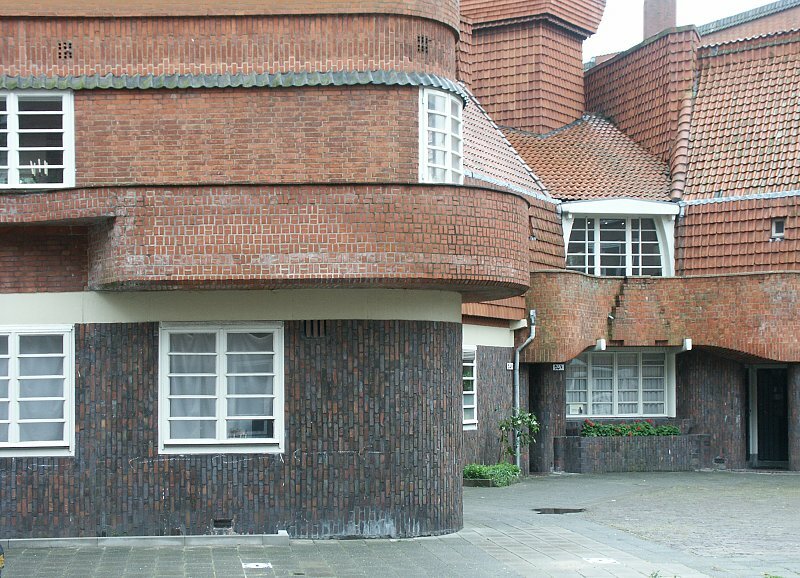 Continue to page 2 for views of one other side.